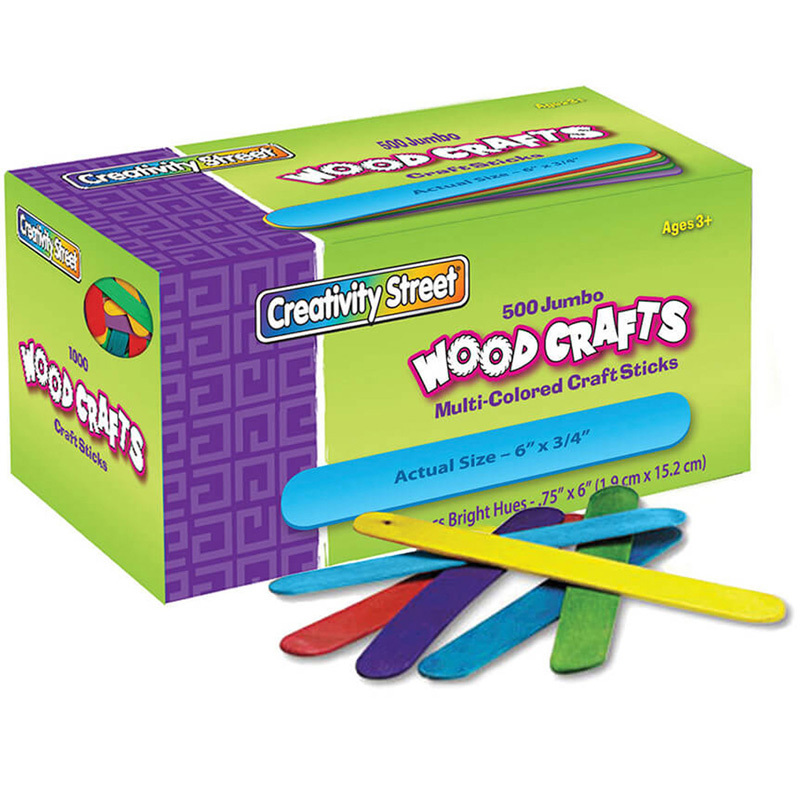 Jumbo craft sticks are the size of "tongue depressors" and are ideal for any arts and crafts project. 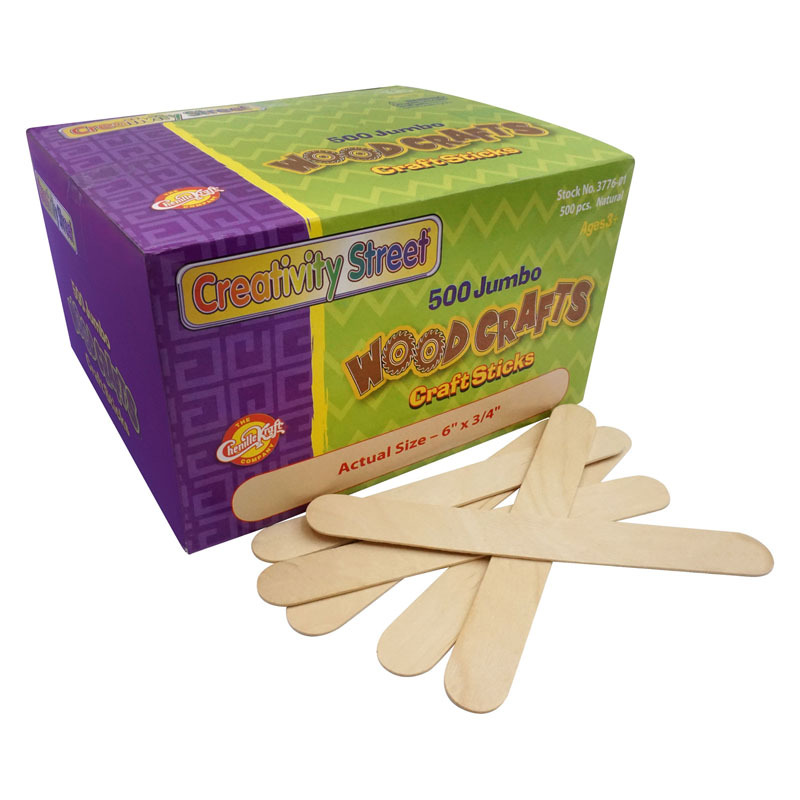 Glue them together to make bird houses, log cabins, fences, forts, rafts, trivets, name tags, wall hangings, and more. 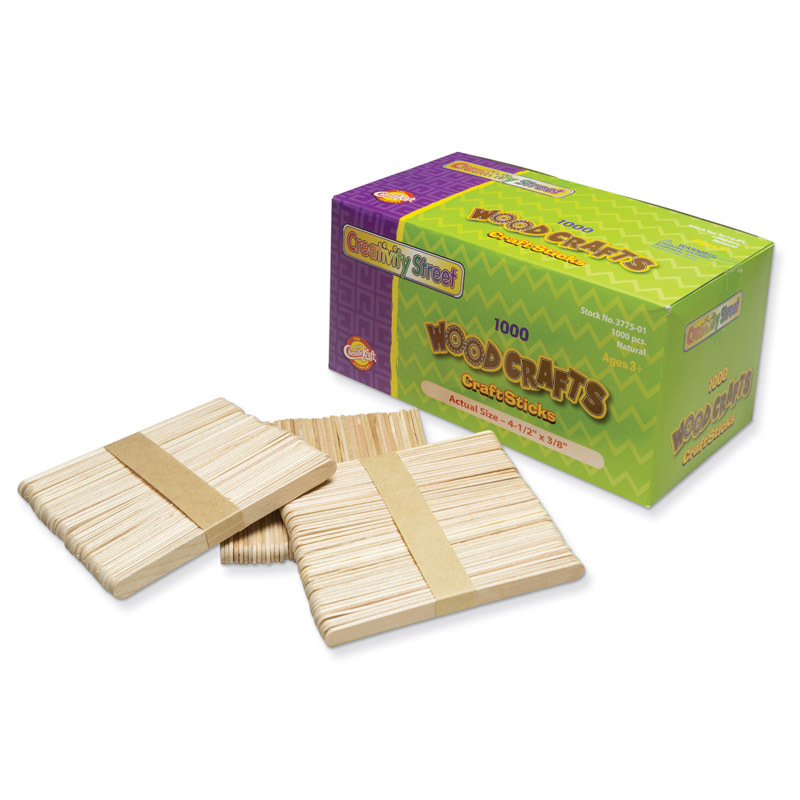 Ideal for use in counting lessons, patterning drills and crafts. Each stick is 6" in length, 0.75" wide and 2 mm thick. 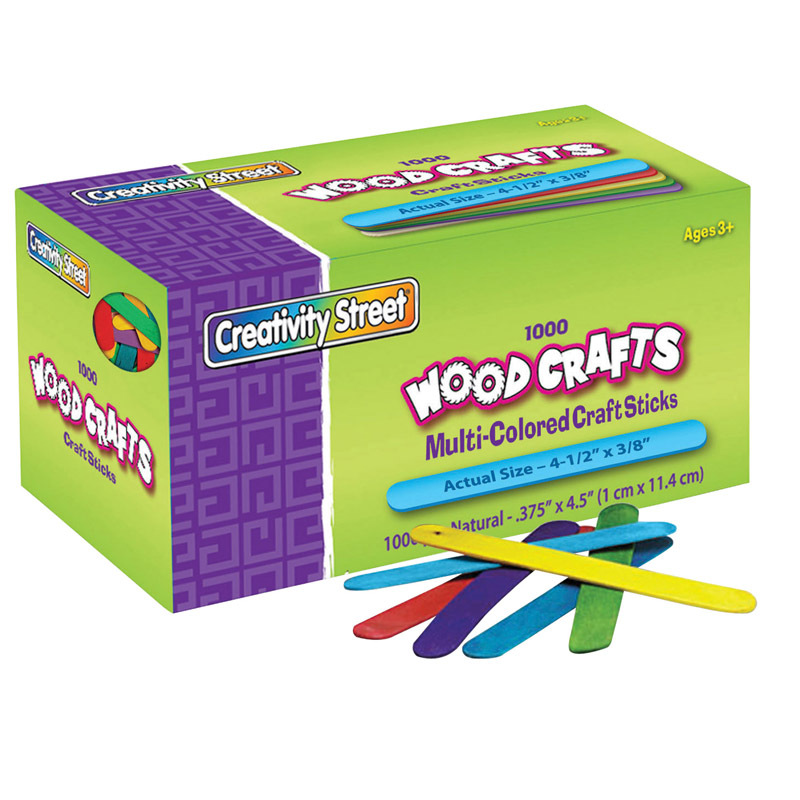 Each pack includes 500 sticks in assorted bright hues. 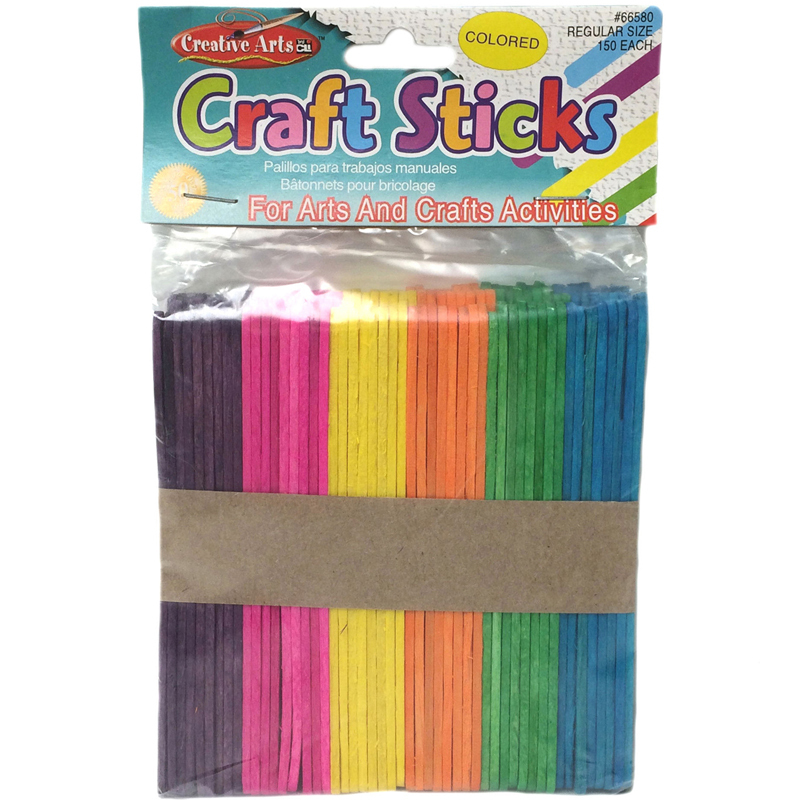 The Jumbo Craft Sticks 500 Pcs Brighthues can be found in our Craft Sticks product category within the Arts & Crafts.